Hans Danuser is among the foremost contemporary Swiss photographers. Peter Zumthor is an equally celebrated Swiss architect. Seeing Zumthor represents a unique collaboration of their distinguished artistic visions: Danuser’s images of the buildings created by Zumthor are photographs that comment equally on the art of photography and the art of architecture. More than twenty years ago, in a milestone event of twentieth-century architectural photography, Danuser photographed, at Zumthor’s invitation, two buildings: the protective structure built for archaeological excavations in Chur and St. Benedict’s Chapel in Sumvitg. When first shown in exhibition, those photos ignited a lively debate that has been revived with a recent exhibition of Danuser’s photographs of Zumthor’s most famous work, the spa at Therme Vals. 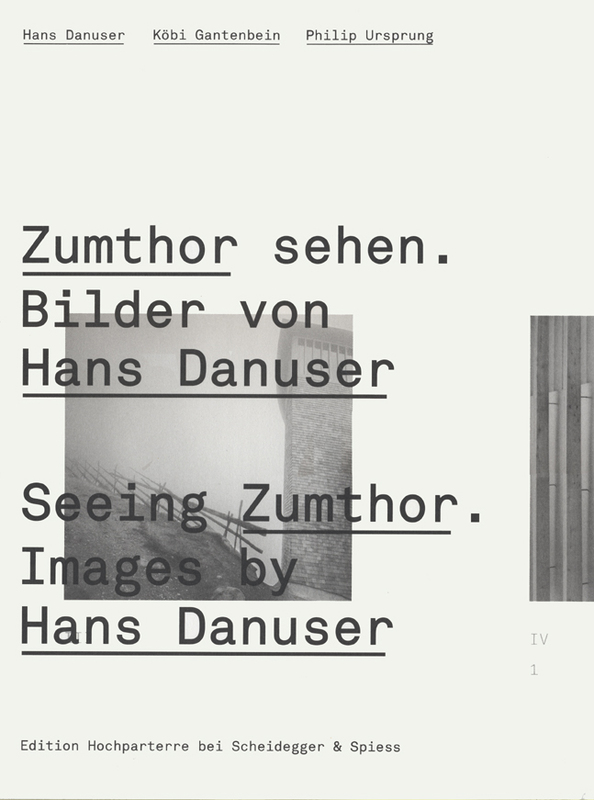 Seeing Zumthor collects these three important series of Danuser’s pictures and includes essays by leading art historians exploring the relationship between the two seemingly different disciplines or architecture and photography. An extraordinary work, Seeing Zumthor will continue to provoke a captivating dialogue between art historians, photographers, and architects.